My day 24 project was a Worry Ring. I first saw this via this pin, but today found out that the linked tutorial had been removed. I searched some more and found a second pin that was similar, and between the two pictures I decided on a plan of attack. 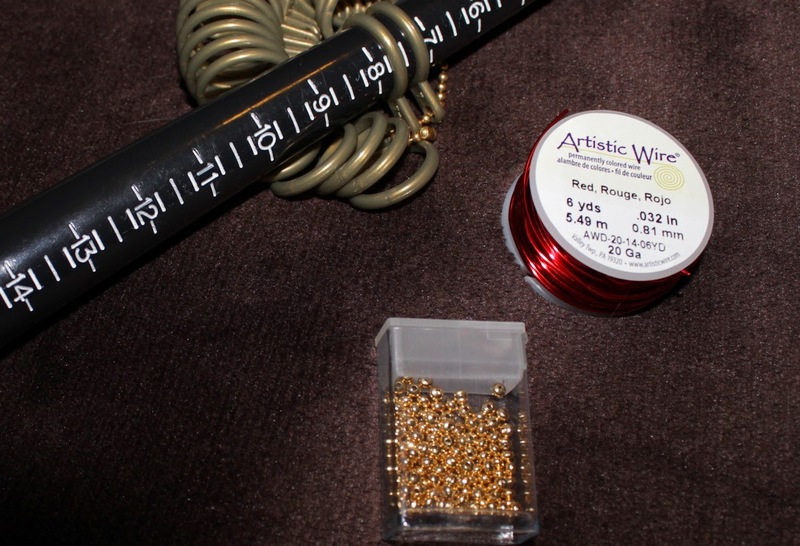 For this project I used my mandrel, 20 gauge wire, and a few beads (I want to say they’re 3mm). I wrapped both ends around fully once, then slipped two beads around what became the middle section. Then I slipped on two more beads, one on the top and one on the bottom, and while holding them in place, wrapped the wires around one more time. The final step was twining the ends around the ring, to hold it all in place. 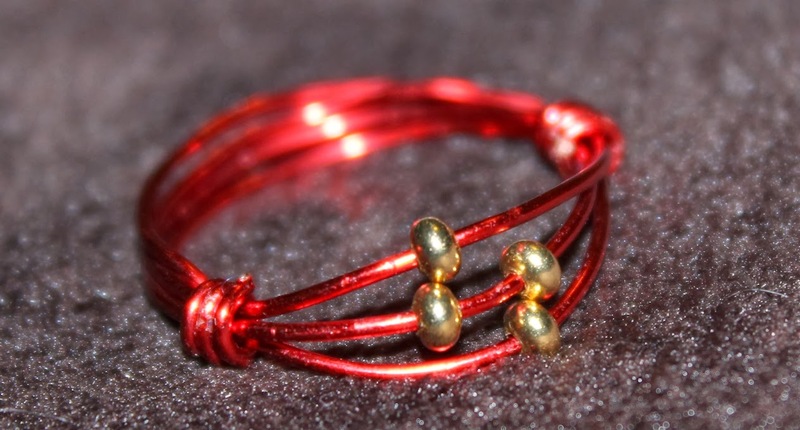 I’m not very good at explaining this part, but Step 6 of this tutorial taught me how to do this the first time I made a wire-wrap ring. File down any pokey ends that are left and you’re done! 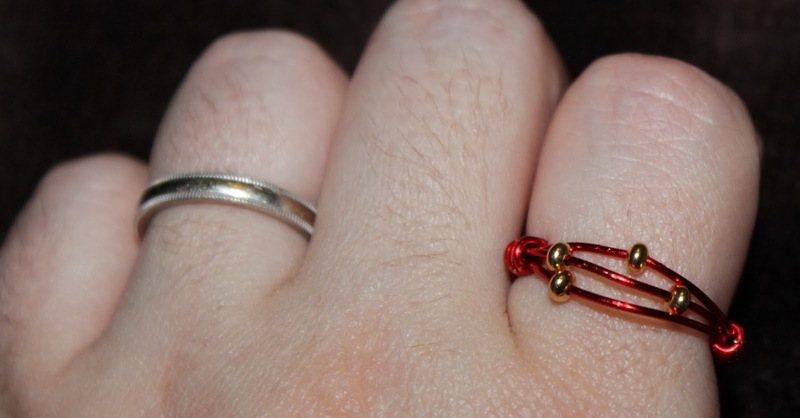 I’m still a novice at wire-wrap rings, so somehow I always end up making the ring either one size larger or one size smaller than intended. My size 7.5 ring ended up being nearly 8.5. Oh well, it’s still cool! Tomorrow’s project is a No-Sew Crayon Wrap!